Erin is passionate about real estate and what it can do for your family. She is an expert negotiator and understand how to best position her clients for the best possible results. Erin is a hands on Realtor who will do what it takes to get the job done. Whether you are buying or selling, or just have real estate related questions, Erin wants to be your resource. Erin has experienced booming real estate markets and seen what happens when the market shifts for the worst. By hiring this Elk Grove Real Estate Team, you leverage this experience. Their job is to negotiate on your behalf and future pace any potential issues. Erin and her team wants to prepare you for what’s coming ahead. If a there is a way to ethically close a transaction, Erin will find it. After 15 plus years experience in the real estate industry, she can help you maneuver around any potential glitches! You should not be worried during a sale or purchase of a home. That is why you hire a professional Elk Grove Realtor. Erin wants her clients to enjoy the process and leave the worrying to her team! You might be shocked at how much your Elk Grove home is worth now that the market has recovered. Check your current equity value now at www.DetailedHomeValue.com! Our goal is to show you what the real estate market is doing in your neighborhood and what your home is currently worth. If you are thinking about selling a home in Elk Grove, we would like to show you how we sell homes fast and for top dollar in this market! Our team leverages technology to the fullest! This means that our listings get the maximum exposure online and we most likely have a qualified buyer to purchase your home! If you are upside down in your home and owe more than your home is worth. Our team will work on your behalf to negotiate a short sale. If you want to work with the Best Elk Grove Real Estate Team who you can trust and will hustle for you… We are here to help! 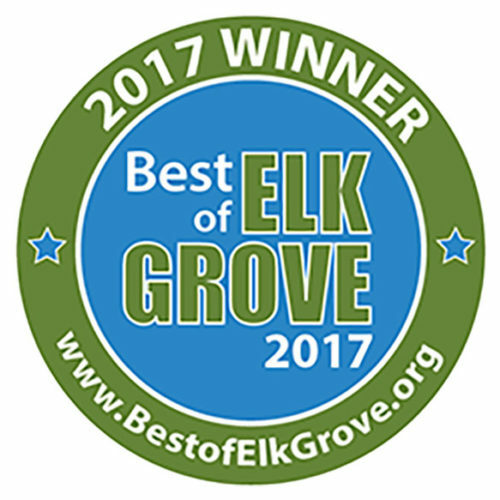 Voted Best Real Agent at the Best of Elk Grove Awards 2017. Please give us a call at (916) 585-3858 or contact us now so we can see how we can work together! We want to help give your dream an address!